Senior Vice President Corporate and Business Development | Algenol Biofuels Inc.
Jacques Beaudry-Losique has more than 20 years experience working in the energy and technology sectors. 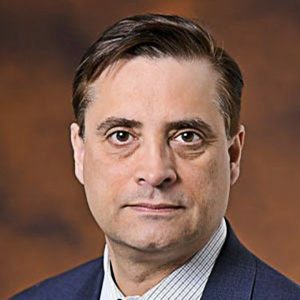 In 2013, he joined Algenol Biofuels Inc. as Senior Vice President of Corporate and Business Development, leading and managing government and regulatory affairs for the company, working with elected officials and government agencies on policy and regulatory issues. From 2005 to 2011, he held senior policy and management positions at the Department of Energy in the US. The Office leads federal efforts to develop technologies that will enable clean biofuels from abundant domestic resources to significantly reduce U.S. dependence on oil. Previously, he worked with and advised Fortune 500 companies while at McKinsey & Co. and in strategic planning and management roles at General Electric and Shell.